Water temperatures are around 80 degrees. Water levels are 3 inches over the crest of the spillway. Bluegill – Slow: Try Town Bay, Ice House Point, and the North Shore. Use a small hair or tube jig with a small piece of crawler fished under a bobber in 5-6 feet of water. Target deeper fish this time of year on the rock piles near Gunshot Hill, Cottonwood Point, and the East Basin. Walleye – Slow: Try leeches or crawler harnesses around Ice House Point, the dredge cut near Denison Beach, and around the rock piles near Gunshot Hill, Cottonwood Point and the East Basin. Largemouth Bass – Fair: Catch largemouth all over the lake using traditional bass lures. Many anglers have found good bass action at the Ice House Point, the east shoreline, and the lake side of the inlet bridge. There is a 15 inch minimum length limit on largemouth bass in Black Hawk Lake. Channel Catfish – Fair: Use stink bait, cut bait, or crawler fished on the bottom along Ice House Point and in Town Bay. Look for fish along rocky shorelines this time of year. There is a 15 inch minimum length limit on largemouth bass in Brushy Creek Lake, and a 40 inch minimum length limit for musky. Walleye – Fair: Use minnows and leaches in 15-20 feet of water. Black Crappie – Fair: Try minnows on a jig in 10-20 feet of water near submerged structure. Yellow Perch – Fair: Find perch along the vegetation and deeper structure. Largemouth Bass – Fair: Catch bass along weed lines near shore just about anywhere with traditional bass lures. There is a 15 inch minimum length limit on largemouth bass in Brushy Creek Lake. Water temperatures in Black Hawk District lakes are around 80 degrees. For more information, contact the Black Hawk District office at 712-657-2638. Surface water temperature is 70 degrees. Walleye – Fair: Jig a minnow or leech above submerged vegetation in 6 to 10 feet of water. Channel Catfish – Good: Use cut bait or crawlers fished after sunset. Black Crappie – Good: Try fishing the edge of the vegetation with a jig and minnow. Yellow Bass – Good: Try a small jig tipped with a piece of cut bait along the edge of vegetation in 6 to 8 feet of water. Muskellunge – Fair: Fish the edge of the vegetation and near docks. Largemouth Bass – Fair: Bass are biting topwater baits. Black Crappie – Fair: Drift or troll small tube jigs in the dredge cut. Channel Catfish – Fair: Use stink bait or chicken liver after sunset. Walleye – Good: Walleye action has improved; reports of the best action in areas with flow. Yellow Bass – Good: Reports of yellow bass being caught. Use small lures such as a twister tail or hair jigs. Channel Catfish – Good: Recent surveys show numbers of pan sized fish, 14 – 17 inches in the lake. Bluegill – Good: Recent surveys show numbers of fish about 7 inches in the lake. Black Crappie – Good: Recent surveys show numbers of angler acceptable size fish up to 10 inches in the lake. Walleye – Good: Troll live bait or crankbaits. Yellow Perch – Good: Report of yellow perch action “picking up” with good numbers of angler acceptable size fish being caught. Northern Pike – Good: Look for areas with flow for the best action. Bluegill – Good: Reports of bluegill, crappie and yellow perch being caught in the Illinois Pondweed in 8 – 10 feet of water. Use a slip bobber and jigs to fish fast and find active fish. Water levels are stabilizing and low. Flows remain high. Visibility has improved. Visit the USGS Current Water Data website for current water level information. Walleye – Good: Use a jig tipped with a crawler or minnow in slack water pockets. Use a jig tipped with twister tail in deep water drop offs. Channel Catfish – Slow: Target snags for catfish using stink baits, chicken liver or crawdads fished on bottom. Use stink bait once the water warms. Smallmouth Bass – Good: Use crawdad crankbaits or jigs with twister tails along rocky shorelines. Black Crappie – Slow Use minnows or red worms in shallow snags and slack water. Wear long sleeved clothing when walking through large patches of wild parsnip to prevent skin contact. Catchable trout are stocked weekly. Due to marginal stream temperatures, some streams are not stocked during August. Listen to the trout stocking hotline (563-927-5736) for daily information. Brook Trout – Good: A variety of aquatic and terrestrial insects, like ants and beetles, are more numerous. Use care not to spook a feeding fish. Brown Trout – Good: Hendrickson, caddis, and cranefly hatches are occurring. Crickets are common along streams now. Use hendrickson, gnat or beadhead nymph patterns. Pale yellow, black, brown, and grey colors work best. Try using terrestrial patterns for crickets and ants. Rainbow Trout – Good: Try a piece of worm or small cheese chunk on a hook under a bobber in the deeper holes or floated past an undercut bank. A variety of small spinnerbaits also work. Water is stained green; limited visibility. Best bite is mid-day. Black Crappie – Fair: Use small jigs in shallow areas. Anglers are finding large numbers of small fish. Largemouth Bass – Good: Use spinnerbaits and soft plastics along edges of vegetation or near submersed rock features. Bluegill – Fair: Try a small jig tipped with small piece of worm along the shoreline. Water clarity is excellent. Water temperatures are in the mid 70’s. Fish activity is improving with cooler temperatures. Bluegill – Good: Use a hook tipped with a red worm or cricket along vegetated edges. Black Crappie – Fair: The bite is improving; try a hook tipped with a minnow or small spinnerbait suspended over submersed structure. Largemouth Bass – Good: Use topwater baits along weed edges. The Turkey River has been hit and miss this week. Water temperatures are in the mid 70’s with higher flows. Smallmouth Bass – Fair: Use jig tipped with a twister tail in drop offs or undercut banks. Walleye – Fair: Try spinners or jig tipped with worm or twister tail in slack water and eddies. Water clarity is much good. Water levels are stabilizing, but flows remain high. Be aware of river conditions ahead of you; strainers may have moved or trees may be blocking the river corridor. Walleye – Fair: Use jigs tipped with natural colored twister tails or a flashy spinner. Smallmouth Bass – Fair: Use feathered spinnerbaits or crankbaits near rocky ledges. Clarity is good. Use caution when floating on an unfamiliar section of river; trees and other debris may be blocking the main channel. Visit the USGS Current Water Data website for more information. Walleye – Good: Cast bright colored jigs tipped with twister tails or crawlers into deep water drop offs or eddies. Try a mid-day bite. Smallmouth Bass – Good: Use jigs tipped with worms or twister tails near rock ledges, undercut banks and current breaks. Channel Catfish – Good: Catfish are actively taking baits at night bank fishing. Algae bloom continues. Fish activity is improving with cooler temperatures. Black Crappie – Good: Find fish near submersed structure or in open water. Use a light colored jig with twister tail. Largemouth Bass – Fair: Use topwater lures around structure. Channel Catfish – Fair: Find catfish shallow in early morning or late night. Use worm, chicken liver, or stink bait fished on the bottom. Bluegill – Good: Use small jigs tipped with a small piece of worm along shallow rocky areas. Anglers are catching lots of small gills with a few keepers. Temperatures and humidity are rising with a chance of thunderstorms on Sunday. Rivers and streams are in good condition. For current fishing information, please call the Decorah Fish Hatchery at 563-382-8324. We have not received information about fishing on this water body this week. Black Crappie – Good: Try fishing various depths near structure with a slip bobber and minnow or jigging colored tube jigs. Casey Lake is in good condition with clear water. Vegetation remains abundant around edges, but it is starting to die back a bit. Catfish anglers are fishing deep water with frogs, shrimp or stink baits. Largemouth Bass – Fair: Best bite is mornings and evenings. Bluegill – Fair: Try fishing various depths with a piece of crawler under a bobber near the edge of weeds or structure. Channel Catfish – Excellent: Catfish are biting on a variety of baits. Best bite is early morning and late evening. Catfish size has been excellent. The Cedar River continues to improve daily for angling. Walleye anglers are back out and the channel catfish bite has been hot yet. Smallmouth Bass – Fair: Cast artificial baits along rocky shorelines for some good action. Walleye – Fair: A jig tipped with a half crawler and twister tail is a deadly combination this time of year. Channel Catfish – Good: Use stink baits in the top or upstream end of log jams. Lake Delhi is providing good fishing for panfish and bass. This is a popular boating lake, so fishing conditions are often best on weekdays and mornings. Bluegill – Good: Lots of smaller fish with some keepers, too. Black Crappie – Fair: Fish near structure. Largemouth Bass – Good: Lots of small fish. 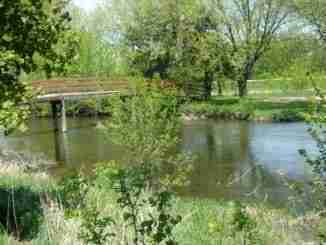 The Maquoketa River remains in excellent condition. Walleye – Fair: A jig tipped with a half crawler and twister tail is a deadly combination this time of year. Smallmouth Bass – Fair: Cast artificial baits along rocky shorelines. Channel Catfish – Fair: Fish the top or upstream end of log jams with stink bait. Expect to fish through and around vegetation. Adjust tactics as needed, including heavy baits or topwater options. Reports of some quality size bass being caught. Largemouth Bass – Good: Use weedless artificial lures with the dense vegetation. Reports have been good for walleye and some northern pike. Walleye – Fair: A jig tipped with a half crawler and twister tail is a deadly combination this time of year. Northern Pike – Fair: Float a live chub or shiner under a bobber or cast larger artificial spoons or lures. The Wapsipinicon river is the lowest it’s been all summer. Anglers report catches of walleye, smallmouth bass and channel catfish. Channel Catfish – Fair: Fish the top or upstream end of log jams with stink bait. Smallmouth Bass – Fair: Cast artificial baits along rocky shorelines. Walleye – Fair: A jig tipped with a half crawler and twister tail is a deadly combination this time of year. The interior rivers remain in good condition, the Cedar and Shell Rock continue to drop. Trout streams remain in excellent condition. Call the N.E. Iowa district office at 563-927-3276 for more information. River level is 9.3 feet at Lansing with a gradual fall predicted. Water temperature is near 78 degrees. New Albin ramp road reopened. The Lansing Village Creek ramp is closed through October. For more updates, call the Guttenberg Fisheries Management office at 563-252-1156. Walleye – Fair: Fishing has been tough with high water current. Some walleyes are up feeding in the shallow water out of the current. Yellow Perch – Fair: Perch bite has been spotty, but some nicer ones are being caught with live minnow rigs. Northern Pike – Excellent: Northern are feeding in the trees in the backwaters on crawler rigs with a leader. Channel Catfish – Good: Try cut bait or stink bait in the main and side channel borders. Largemouth Bass – Good: Bass are biting along the vegetation in backwater lakes and areas protected from the current. Smallmouth Bass – Good: Fishing has been difficult with floating flood debris and weeds. Find smallmouth along shorelines in slight current off rocky points. White Bass – Fair: Cast flashy spinners or crankbaits along the rocks in main channel current for big white bass. Bluegill – Excellent: Bluegills are biting on a small piece of worm fished about mid depth in 8 feet of water in the flooded trees. Freshwater Drum – Excellent: Freshwater drum are actively biting in areas of current. Drop a heavily weighted worm rig into the current for some big fish action. River level at Lynxville has fallen to 17.3 feet with a gradual fall expected. Water temperature is 78 degrees at the Lock and Dam 9. Sny Magill ramp has reopened. Walleye– Fair: Fishing has been tough with high water current. Some walleyes are feeding in the shallow water out of the current. Yellow Perch – Fair: Perch bite has been spotty, but some nicer ones are being caught with live minnow rigs. Northern Pike – Excellent: Northern are feeding in the trees in the backwaters on crawler rigs with a leader. Channel Catfish – Good: Try cut bait or stink bait in the main and side channel borders. Bluegill – Good: Panfish bite is picking up this week. Try a small piece of garden worm on small tackle under a bobber. Common Carp – Good: Carp are on the move with the high water. To hook into a big one, try fishing the warm shallow backwaters where carp are staging for the spawn. Largemouth Bass – Good: Bass are biting along the vegetation in backwater lakes and areas protected from the current. Smallmouth Bass – Good: Fishing has been difficult with floating flood debris and weeds. Find smallmouth along shorelines in slight current off rocky points. White Bass – Fair: Cast flashy spinners or crankbaits along the rocks in main channel current for big white bass. Bluegill – Excellent: Bluegills are biting on small piece of worm fished about mid depth in 8 feet of water in the flooded trees. Freshwater Drum – Excellent: Freshwater drum are actively biting in areas of current. Drop a heavily weighted worm rig into the current for some big fish action. River level at Guttenberg has fallen to 8.5 feet and will slowly recede next week. Water temperature is 70 degrees at Lock and Dam 10. Walleye – Fair: Fishing has been tough with high water current. Some walleyes are up feeding in the shallow water out of the current. Yellow Perch – Fair: Perch bite has been spotty, but some nicer ones are being caught with live minnow rigs. Northern Pike – Excellent: Northern are feeding in the trees in the backwaters on crawler rigs with a leader. Channel Catfish – Good: Try cut bait or stink bait in the main and side channel borders. Largemouth Bass – Good: Bass are biting along the vegetation in backwater lakes and areas protected from the current. Smallmouth Bass – Good: Fishing has been difficult with floating flood debris and weeds. Find smallmouth along shorelines in slight current off rocky points. White Bass – Fair: Cast flashy spinners or crankbaits along the rocks in main channel current for big white bass. Bluegill – Excellent: Bluegills are biting on small piece of worm fished about mid depth in 8 feet of water in the flooded trees. Freshwater Drum – Excellent: Freshwater drum are actively biting in areas of current. Drop a heavily weighted worm rig into the current for some big fish action. Upper Mississippi River levels continue on a steady fall this week with good water clarity. Boaters should use caution with the lower water with wing dams and sandbars now just below the water surface. As water levels settle back to summertime lows, look for fish along side channels as the temperatures warm up. Water levels are 8.4 feet at the Dubuque Lock and Dam and 10.8 feet at the RR bridge. Expect water to drop slowly this upcoming week. Water clarity continues to improve. The water temperature is around 78 degrees. Channel Catfish – Excellent:Try stink bait or worms near shore. Freshwater Drum – Excellent: Most anglers use a simple egg sinker and worm rig. Drum will be hanging out relatively near shore in moderate current areas. Largemouth Bass – Good: Largemouth bass are being caught along flooded weed lines and in weedy backwater using lures like scum frogs. White Bass – Good: Look for schools of white bass feeding on the surface in the morning and evenings. Bluegill – Good: Some bluegill have finally returned to angler creels. Try angling along the vegetation lines in 4 to 6 feet of water. Water level at the Bellevue Lock and Dam is 9.8 feet. Expect water to drop slowly this upcoming week. Water clarity continues to improve. The water temperature is around 78 degrees. The north ramp at Sabula is not in use this year due to bridge construction. Channel Catfish – Excellent: Try stink bait or worms near shore. Move often if you are not finding catfish. Freshwater Drum – Excellent: The drum bite is on. Fish worms with an egg sinker in moderate current areas. Fish near the shorelines if possible. Largemouth Bass – Good: Most are feeding along the high water edge. Use a bright colored spinner that imitate minnows. Try also scum frogs in the weedy backwaters. White Bass – Good: Look for feeding schools of white bass in the morning and evenings. Small spinners and white jigs work best. Bluegill – Good: Bluegills are starting to return to the creel. 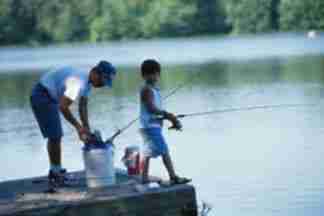 Try fishing along vegetation lines in 4 to 6 feet of water. Water levels are 9.2 feet at Fulton Lock and Dam, 12.3 feet at Camanche and 6.8 feet at LeClaire. Expect water to drop slowly this upcoming week. Water clarity continues to improve. The water temperature is around 78 degrees. Channel Catfish – Excellent: In high water conditions, most fish hang around near bank using food washing into the system. Try stink bait or worms near shore. Freshwater Drum – Good: Use a simple egg sinker/worm rig in moderate current areas. Find fish near the shoreline in flooded conditions. Largemouth Bass – Good: Bright colored spinners fished along flooded shorelines are picking up some bass. White Bass – Fair: Some schools of white bass have been seen in the tailwater area. Use bright jigs or flashy lures. Water levels are 9.3 feet at Rock Island. Expect water to drop slowly this upcoming week. Water clarity continues to improve. The water temperature is around 78 degrees. Channel Catfish – Good: In high water conditions, most fish hang around near bank using food washing into the system. Try stink bait or worms near shore. Freshwater Drum – Good: Use an egg sinker and worm rig fished near shore in high water conditions. Water levels continue to drop throughout the district this week. The river is getting down to much more fishable levels. If you have any angling questions, please contact the Bellevue Fisheries Station 563-872-4976. Tailwater stage is 9.01 feet at Lock and Dam 15 in Davenport and is falling. The docks are being reported as in at the Marquette St. ramp in Davenport. The Fairport Recreation Area has a dock in at the upper and lower ramps. Fishing is being reported as slow. Channel Catfish – Slow: Some channel catfish are being caught in Sunset Marina on stink bait. Try also above brush piles and snags in the back channels. Walleye – No Report: Troll crankbaits between the mouth of the Rock River and Sunset Marina. Try fishing on the wing dams along Credit Island with crankbaits or three-way rigs with crawlers. Tailwater stage is 7.66 feet at Lock and Dam 16 in Muscatine and is falling. The ramp at Big Timber is open. We have not received any fishing reports for this pool this week. Channel Catfish – No Report: Try fishing above snag piles along the side channels and main channel with stink bait or shad. Walleye – No Report: Look for walleyes on the wing dams; use crankbaits or three-way rigs with crawlers. Trolling crankbaits by GPC can work, too. Bluegill – No Report: Look for bluegills in the backwaters around brush piles. Try fishing with pieces of worms under a bobber. Tailwater stage is 9.43 feet at Lock and Dam 17 above New Boston and is falling. The gates are still out of the water at the dam. The ramp at Toolsboro is open.Channel Catfish – No Report: Try fishing above brush piles and snags along side channels and the main channel; use stink bait or shad. Bluegill – No Report: Look for bluegills in the backwaters around brush piles. Try fishing with worms under a bobber. 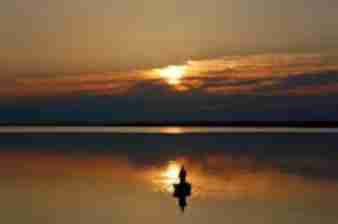 White Bass – Slow: Look for white bass at the outlet tube of Lake Odessa. Cast jig and twister tails or inline spinners. Walleye – No Report: Look for walleyes on the wing dams. Cast crankbaits or troll three-way rigs with crawlers. Tailwater stage is 5.95 feet at Lock and Dam 18 above Burlington and is falling. We have not received any fishing report information for this pool this week. Channel Catfish – No Report: Try fishing above brush piles and snags along the side channels and main channel; use stink bait or shad. Bluegill – No Report: Look for bluegills in the backwaters around brush piles. Try fishing with worms under a bobber. Walleye – No Report: Look for walleyes on the wing dams. Cast crankbaits or troll three-way rigs with crawlers. River stages have been falling this past week. Main channel water temperature is around 78 degrees. Water clarity is fair. Fishing is being reported as slow.If you have questions on fishing Pools 16-19, contact the Fairport Fish Hatchery at 563-263-5062. The Iowa River is getting low enough that the bigger sandbars are starting to show. Channel Catfish – Fair: Catfishing has picked up a little. Work the outer edges of the brush piles early in the morning and late evening. Stink baits are made for this time of year. Water temperature in low 80’s to upper 70’s; 90 + degree temperatures next week should make that go back up. Bluegill – Fair: Anglers are picking up bluegills in the flooded timber between 10 and 12 feet of water. Black Crappie – Fair: Anglers are still finding crappies while slow trolling in the open water area between the beach and the dam; early morning before 10 am is best. Water temperatures dropped a little since last week, but that trend doesn’t look to continue with the weather forecast. Largemouth Bass – Fair: Anglers are picking up bass around the deeper habitat. In the early and late parts of the day, look for them to be in shallow but not far from the deep water ledges. Bluegill – Fair: Look for bluegills out around the rock piles and brush in 6-8 feet of water. Lots of boats and kayaks out on the lake. Black Crappie – Fair: Anglers are picking up some crappies later in the evening as these fish come to shore to feed later in the day. Largemouth Bass – Fair: Anglers are catching bass in the flooded brush on the north side of the lake in the early morning hours. The river level dropped more since last week, but most jon boats should still be ok. Channel Catfish – Fair: Starting to get low enough that you should be able to concentrate more on the deeper holes. The lake is currently refilling as a renovation project has finished up this spring. It has been restocked with juvenile bass, bluegill and catfish. The lake is at normal summer pool. Channel Catfish – Fair: Best action is drifting or trolling cut bait in the channel. Black Crappie – Slow: Fish steep rock banks for suspended fish. No minnows are allowed here. The fish cleaning station is open. Black Crappie – Fair: Try small jigs fished around the brush piles or drift the basin. Most fish are 7-9 inches. Bluegill – Fair: Use small jigs or worms around shallow rock or brush. Many fish are around 6-7 inches. Channel Catfish – Good: Catfishing has picked up over the past week. Largemouth Bass – Fair. Bluegill – Fair. Black Crappie – Fair. Channel Catfish – Fair. The lake is drained for a lake renovation project currently underway. It is scheduled to be completed next spring. Only motors under 10hp may be used at no-wake speed. Lake temperature is about 80 degrees. Black Crappie – Slow: Fish deeper brush or look for suspended fish off breaks. Some have been caught around the causeway area. Walleye – Fair: Troll crankbaits or live bait rigs. Most fish are 8-12 inches. Largemouth Bass – Fair: Some fish are still shallow while other fish have pulled off to deeper rock for the summer. Best bite is early in the day. Wiper (Hybrid Striped Bass) – Slow: Look for schools roaming over deep water feeding on juvenile shad. Early and late in the day are best. Bluegill – Fair: Some are shallow in pockets while others have moved to deeper rock. Size is marginal at best. 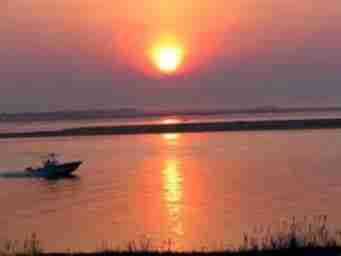 Channel Catfish – Fair: Evenings are best. The lake is still 5 feet low from the restoration project. The main ramp is usable, but it is shallow; use caution. There is a boat dock in on the east lane. Be cautious when boating as new structures have started to be submerged. Check your boat and trailer for the invasive plant, Brittle Naiad; it is abundant here. Night fishing has been reported as being the most productive lately. White Bass – Fair: Fish windblown shores or look for schools in open water. Wiper (Hybrid Striped Bass) – Fair: These are mixed in with the white bass. Mornings and evenings are best. Bluegill – Slow: Fish weed edges. Channel Catfish – Fair: Use chicken liver or shrimp. Walleye – Slow. Channel Catfish – Fair: Target slack water areas around log jams and rocked shorelines. Largemouth Bass – Fair: Use spinnerbaits along the rocky shorelines and rubber worms around the deeper structure. Bluegill – Fair: Try small jigs tipped with live bait along the rocky shorelines and the weed line. Channel Catfish – Fair: Use chicken liver or stink bait in areas with 4-6 feet of water. Bluegill – Fair: Use small jigs tipped with live bait near shoreline and around the fishing jetties. Black Crappie – Fair: Use a jig and minnow around deep structure. Channel Catfish – Fair: Use stink bait or chicken liver 4-8 feet of water. Largemouth Bass – Fair: Cast spinnerbaits or crankbaits around the fishing jetties and along the dam. Switch to rubber worms and deeper structure as the day heats up. The south boat ramp off of Highway 2 is closed due to a parking lot construction project. Largemouth Bass – Fair: Target deeper structure with rubber worms or deep diving crankbaits.. Black Crappie – Slow: Use tube jigs or jig and minnow combos in deeper water structure. Bluegill – Fair: Try small jigs tipped with live bait around the shorelines and fishing jetties. Channel Catfish – Fair: Use dead chubs or stink bait along the dam or around the fishing jetties. Channel Catfish – Fair: Use chicken liver or stink bait around areas with rip-rapped shorelines or rock piles. Largemouth Bass – Good: Use rubber worms or crawdad imitating crankbaits around deep structure. Bluegill – Fair: Try small jigs tipped with a chunk of night crawler in areas around aquatic vegetation or near the fishing jetties. White Crappie – Slow: Try minnows or jig and minnows in deeper structure and the outer edge of the weed line. The current lake level is 904.74 msl. Normal operating elevation is 904.0 msl. Lake Rathbun has zebra mussels, so make sure to properly drain, clean, and dry equipment before transporting to another water body. Channel Catfish – Good: Use stink bait or chicken liver in areas with water running into the lake. White Crappie – Fair: Use minnows around deeper structure. Trolling small crankbaits can also catch suspended crappies. Best bite is early in the day. Wiper (Hybrid Striped Bass) – Fair: Troll crankbaits or night crawler rigs along rocky shorelines and around rock piles. Try also vertical jigging in the same areas. Walleye – Fair: Walleye bite has slowed from earlier in the year. Use night crawler rigs or troll crankbaits around rock piles and submerged points. Leeches can also be productive this time of year. Largemouth Bass – Good: Cast the shorelines in the early part of the day and then fish deeper structure as the day warms up. Use rubber worms or crankbaits. Black Crappie – Fair: Try tube jigs along the shorelines. Bluegill – Fair: Use small jigs tipped with live bait around the shorelines and fishing jetties. Channel Catfish – Fair: Try night crawlers around the fishing jetties or along the dam. Walleye – Fair: Troll shallow diving shad imitating crank baits or spinner rigs with night crawlers with little weight to fish 3 to 10 feet deep. The northern half of the lake is best during the summer months; start from the beach up to the marina boat ramp. Wiper (Hybrid Striped Bass) – Good: Troll and cast crankbaits, spoons or in-line spinners in the main lake. Look for schools of fish busting shad on the surface. Channel Catfish – Good: The channel catfishing is very good in the Des Moines River around Boone using stink baits. The accesses north of Highway 30 are usable. Accesses south of Highway 30 are waiting for water to fully recede and mud and debris to be cleaned off. Black Crappie – Fair: Anglers drifting and trolling jigs mid-lake are picking up some nice 10-12 inch crappies. Keep your baits in the top 6 feet of water. Largemouth Bass – Good: Cast crankbaits in 4 to 8 feet of water in the evenings. White Bass – Fair: High water is making white bass fishing very slow on the lake, but anglers fishing below the dam are catching a mix of white bass and hybrid striped bass. White Crappie – Good: Drift or slowly troll jigs or minnows in the lower half of the lake in the mornings to just after noon. Largemouth Bass – Good: Catch largemouth bass up to 18 inches with finesse plastics fished along cedar tree brush piles. Bluegill – Good: Catch bluegill up to 8 inches using worms fished along the fishing jetties or shallow bays. Black Crappie – Good: Catch crappie up to 9 inches with minnows or jigs fished along cedar tree brush piles. Walleye – Fair: Catch walleye up to 19 inches using crankbaits fished in 10 feet of water. Channel Catfish – Good: Channel catfish of all sizes have been caught using night crawlers or stink bait fished along rocky shoreline areas. finesse plastics fished near cedar tree brush piles or rock reefs. Bluegill – Good: Catch bluegills up to 9 inches with worms fished along the fishing jetties or cedar tree brush piles. Channel Catfish – Good: Catch channel catfish up to 10 pounds with night crawlers or stink bait fished along rocky shoreline areas. Walleye – Slow: Catch walleye up to 22 inches using crankbaits fished in 10 feet of water. Bluegill – Good: Catch bluegill up to 7 inches with worms fished along the fishing jetties or cedar tree brush piles. Walleye – Fair: Catch walleye up to 18 inches using crankbaits or live bait fished along the fish mounds and main lake points. Largemouth Bass – Slow: Catch largemouth bass up to 15 inches with finesse plastics fished along weed lines or cedar tree brush piles. Black Crappie – Fair: Catch crappie up to 9 inches using minnows fished along rocky areas. Largemouth Bass – Fair: Largemouth bass of all sizes have been caught with crankbaits or finesse plastics fished along shallow points. Bluegill – Good: Catch bluegill up to 8 inches with worms fished near cedar tree brush piles or shallow bays. Walleye – Good: Catch walleyes of all sizes using crankbaits fished in 10 feet of water. Black Crappie – Good: Catch crappie up to 9 inches with minnows fished along cedar tree brush piles. Water temperature in most district lakes is in the low 80’s. The district includes Page, Taylor, Adams, Union, Ringgold, Decatur, Clarke and Madison counties. For more information, please call the Mount Ayr Fisheries office at 641-464-3108. Channel Catfish – Good: During high water levels, try below flooded wing dams and close to the bank or slower flooded areas from shore. Smaller tributaries should also be good, where channel catfish will find refuge from faster currents. Use worms, cut bait, or dip baits. Freshwater Drum – Fair: Try using live bait rigs or jigs tipped with worms along the bank and around tributary stream or rivers where they join the Missouri River. Blue Catfish – Fair: Anglers report catching a few blue catfish on rod and reel and trotlines. Use live bait or fresh cut bait with live bait rigs along wing dam tips or in or close to the main channel of the Missouri River. Flathead Catfish – Good: Flathead catfish are being caught on trotlines and rod and reel using live baits (chubs, bullheads, green sunfish). Fish below wing dam tip, near rock structures, logs and along the bank with deeper water nearby. Channel Catfish – Good: During high water levels, try below flooded wing dams and close to the bank or slower flooded areas from shore. Smaller tributaries should also be good, where channel catfish will find refuge from faster currents. Use worms, cut bait, or dip baits. Freshwater Drum – Fair: Try using live bait rigs or jigs tipped with worms along the bank and around tributary stream or rivers where they join the Missouri River. Blue Catfish – Fair: Anglers report catching a blue catfish on rod and reel and trotlines. Use live bait or fresh cut bait with live bait along wing dam tips or in or close to the main channel of the Missouri River. . Flathead Catfish – Good: Flathead catfish are being caught on trotlines and rod and reel using live baits (chubs, bullheads, green sunfish). Fish below wing dam tip, near rock structures, logs and along the bank with deeper water nearby. Channel Catfish – Good: During high water levels, try below flooded wing dams and close to the bank or slower flooded areas from shore. Smaller tributaries should also be good, where channel catfish will find refuge from faster currents. Use worms, cut bait, or dip baits. Freshwater Drum – Fair: Try using live bait rigs or jigs tipped with worms along the bank and around tributary stream or rivers where they join the Missouri River. Blue Catfish – Fair: Anglers are catching a few blue catfish on rod and reel and trotlines with fresh cut bait or live bait. Try by the wing dam tips, close to or in the main channel of the Missouri River for your best chance at getting bigger blue catfish. Flathead Catfish – Good: Flathead catfish are being caught on trotlines and rod and reel using live baits (chubs, bullheads, green sunfish). Fish below wing dam tip, near rock structures, logs and along the bank with deeper water nearby. The Missouri River at Decatur, Nebraska is at 28.23 ft. /65,000 cfs./76 degrees Fahrenheit. Missouri River water tempetatures are down 3 degrees from last week and water levels are down 0.35 feet from last week. Water levels are up due to recent rains in the Missouri River watershed and release of water from reservoirs. Anglers and boaters are advised to use caution going on the Missouri River. Fishing has been good to fair.